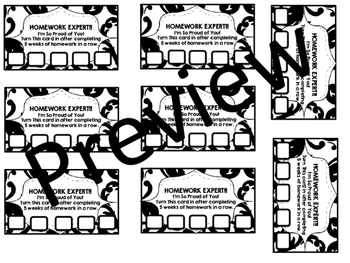 This product includes spelling, homework, and behavior cards that can be used to motivate students. These will help motivate students to get better grades on their spelling test, turn in their homework, and behave in a more positive way. I have included cards for each of the three categories. I don't suggest using all three cards together. It becomes a bit overwhelming for teacher and students to keep track of the cards. In my classroom I have students keep track of their own cards. I usually don't replace students cards that are lost (Notice I said usually). Thank you so much for your purchase and your support. I hope you enjoy using this product!